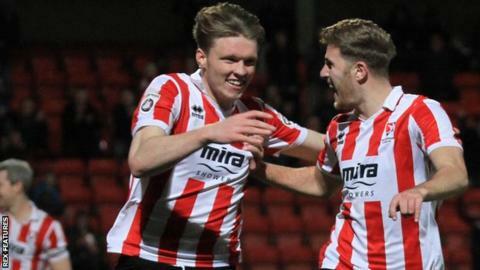 National League leaders Cheltenham have re-signed Reading defender Rob Dickie on loan until the end of the season. Dickie made 22 appearances for the Robins earlier this season after signing on an initial one-month loan deal in August. The 20-year-old, who can play at centre-half or right-back, has yet to make a senior appearance for Reading. Dickie is available to be in Cheltenham's squad when they host struggling Boreham Wood on Friday.